Nokia has announced it hopes to sell 50 million Symbian-based smartphones in the next year, as it attempts to bring its devices back to the fore. It claims to have 40% of the smartphone market with 260,000 new smartphones sold every day, which it states is more than Apple and Android combined in the last quarter. 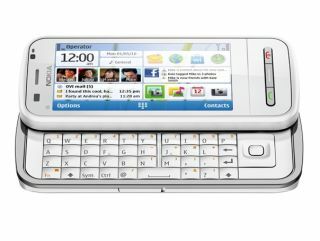 Nokia says that the target of 50million Symbian-based smartphones sold is 'very conservative' as it aims to maintain that lead, and is also working to improve the efficiency and developer-friendliness of the new platform. The phones will likely be based on Symbian^3 and Symbian^4, the next version of the smartphone platform, with MeeGo-based phones also on the horizon. "We are arguably the most global company in any industry; our market is the world," said Niklas Savander, executive VP of markets for Nokia. "We know one device will not satisfy all, even at the high end, as offering one model will inevitably lead to compromises. "These could be to the phone, camera, keyboard, or even the phone itself, which is why we'll continue to offer a variety of devices."